Lincoln Park High School was identified as “Improvement Required” under the Texas Education Agency (TEA) 2018 Accountability System. The school presented information regarding the rating at stakeholder meetings at the campus on September 11th and will present the information and proposed plan at the October 2, 2018, Brownsville ISD Board of Trustees meeting. The Campus Leadership Team has developed a targeted improvement plan to address the areas of low performance. The public is invited to comment on this information and plan during the public hearing to be held after the BISD Board of Trustees conference presentation. This is part of the required activities under Texas Education Codes 11.253(g), 39A.055(2), 39A.057, and 39.055(3). 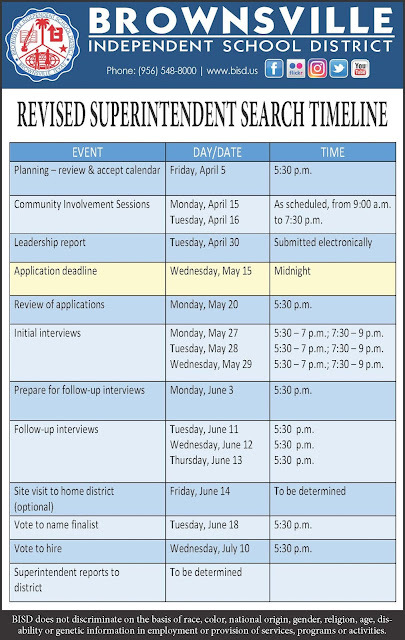 View the Lincoln Park HS Targeted Improvement Plan.